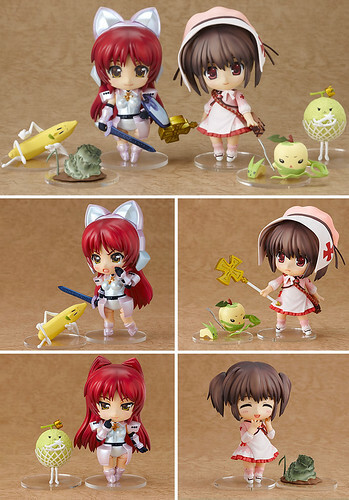 Yes, this Nendoroid pair is finally released! Bundled with the limited edition of the PSP game To Heart 2: Final Dragon Chronicles, Nendoroid Kosaka Tamaki and Yuzuhara Konomi has been shipped to Japanese folks starting today. This entry was posted in News and tagged bundle, kosaka tamaki, nendoroid, psp, toheart2, yuzuhara konomi. they already got a bootleg? ?